Celebrate A Sweeter Christmas at Coffee House, Sunway Putra Hotel. - MisTan IzZy | Travel & Lifestyle. Celebrate A Sweeter Christmas at Coffee House, Sunway Putra Hotel. Jingle Bell Jingle Bell... Jingle all the way! The exciting month is finally just around the corner now, I have waited so long for the month of December! The month where it always promises exciting moments in our lives with the combination of the festive season. 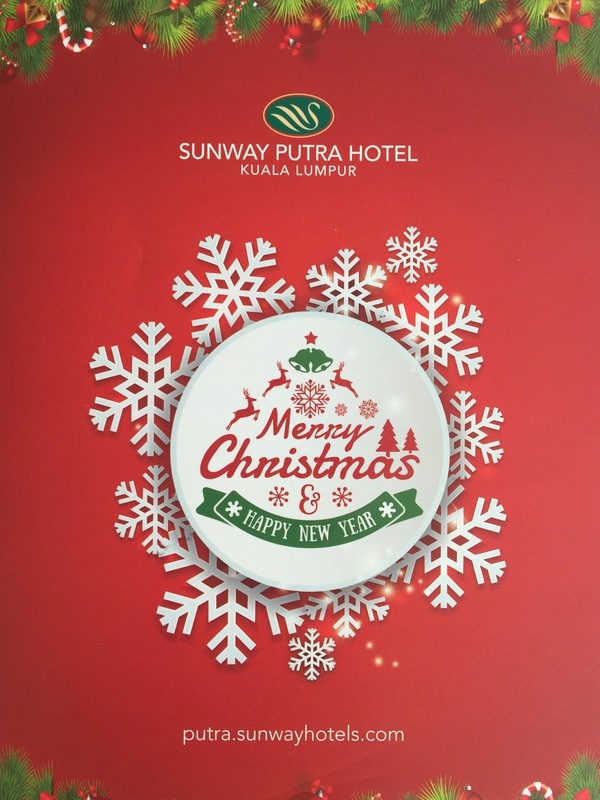 This year, Sunway Putra Hotel brings you a Sweet Christmas to celebrate this joyful month with a range of flavours and merriment! You should probably indulge yourself in this sweetest moment with your loved one by having the enriching buffet at Coffee House, Sunway Putra Hotel. Starting from 24th November 2016 until 1st January 2017, Sunway Putra Hotel restaurants and lounge offer a variety of festive menu that is guaranteed to make this season's celebration more memorable. Coffee House is an all day dining restaurant famous for its buffets and hi-teas, during the Christmas Eve and New Year Eve, they've prepare a Special Dinner Buffets at RM 158 nett per person, and during the Christmas Day and New Year Day, there will be a Hi-Tea session at RM 98 nett per person. Both buffets and hi-tea will feature some of the Christmas and New Year classics food such as the Roasted Sausages Wrapped in Beef Slices for appetizers, Beef Wellington, Oven Marinated Roasted Beef and Roasted Turkey. There are cold platter and appetizer section whereby you get to enjoy fresh oyster, prawns, smoked salmon or create your own salad. Not only it has the western food, but the buffet also offers Japanese food for those who craving a little of sushi! There are even pasta section where you get to choose your own pasta noodles and sauce. Something that is rarely seen in Malaysian, but you can find it here - Mongolian Seafood! When it mentions a Sweeter Christmas, what couldn't be miss out will be the Dessert Session! For those with sweet tooth, be prepared to bring your honeyed appetite as they have specially prepared some of the best and popular desserts such as Christmas Stollen, Caramelised Festive Fruit Cake served with delicious Almond Cream on skewer, Christmas Log Cake, English Fruit Cake, Ginger Creme Brulee and many more! Roasted Roma Tomato Soup - cooked with imported round and sweet tomatoes to give the soup a natural sweet texture. Pan-Fried Turkey Medallions with Banana and a Fruit Curry Sauce - cooked with a special German Curry Powder. Warmed Apple Crumble - make with caramelised green apples. Christmas Pudding with Vanilla Sauce - mixed fruit soaked in orange juice. Chef Rossham also explains that during the festive seasons, desserts are always the heart of the buffets, "It is so important to present the classic and popular desserts in the right way to our guests, because I personally believe that desserts makes or breaks our celebration." For exclusive and latest hotel offers and promotions, follow Sunway Putra Hotel on Facebook and Instagram. Alternatively, log on to their Website.